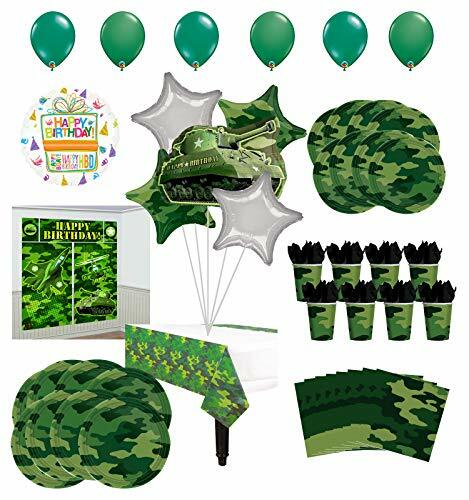 Camouflage Party Supplies and DecorationsElegant Party Supplies for Your Special Occasion. 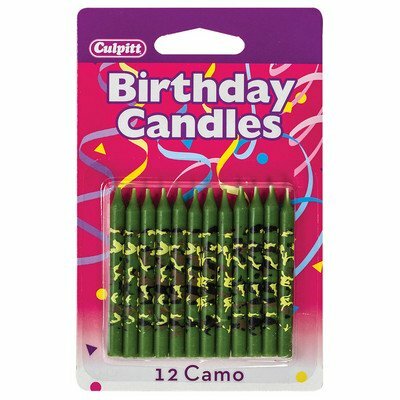 Army Camouflage brings your party a sense of mystery and adventure! 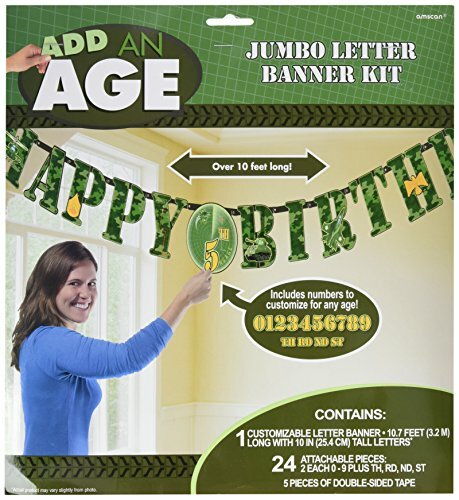 Bundle includes a letter banner, dizzy danglers, centerpiece, and 24 Cedar Crate Market brand straws made of non-toxic, BPA free, and elemental chlorine free materials. Strong and durable for lasting fun and enjoyment! Straws made in the USA! 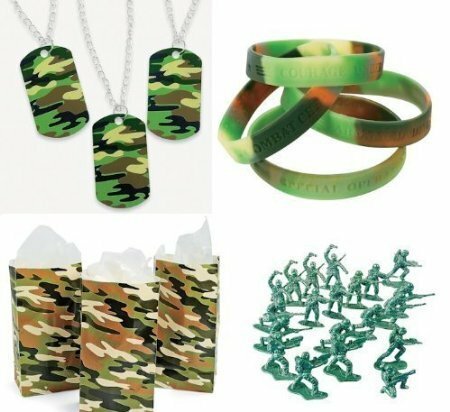 Camouflage Army Belt Clip Toy Compass Key Chains. 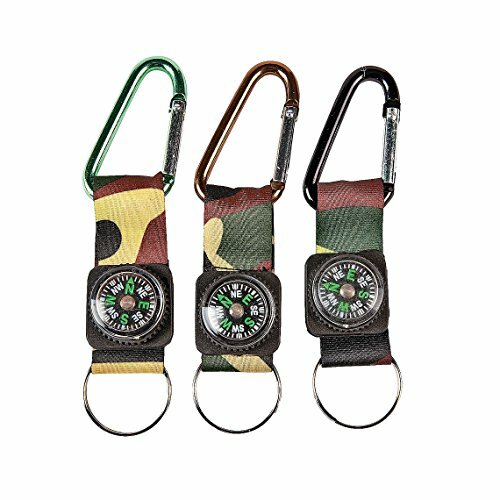 Hold on to your keys with these military-style toy compass key chains. 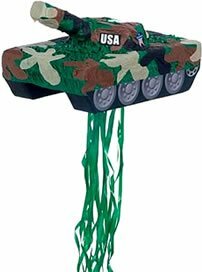 A fun favor at a little soldier's army-themed birthday party! 4 1/4". Each has a plastic toy compass, 1" key ring, strap and clip. Compass for novelty use only. 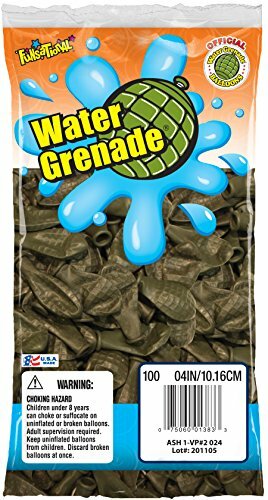 Water Grenades are the perfect fun-in-the-sun water balloon to use in water balloon fights! 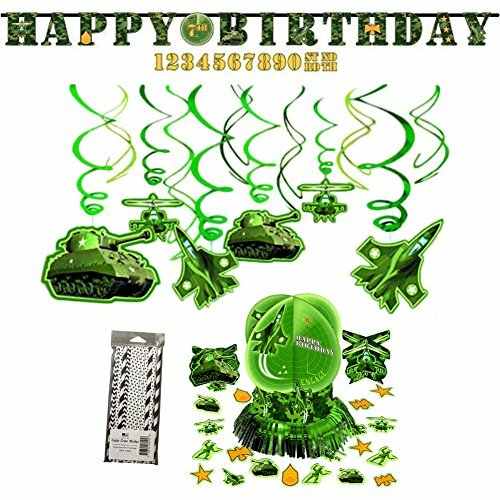 Pack includes green colored balloons with raised square indentions like that of a "grenade". Balloons designed to hold water and break with impact.Pioneer Balloon Company is the largest and leading U.S. manufacturer of balloons and related products. Pioneer has culminated nearly 100 years of experience as a company manufacturing a variety of balloon products including latex balloons, foil balloons and punch balls. Pioneer is recognized as a leader in almost every product category we participate. 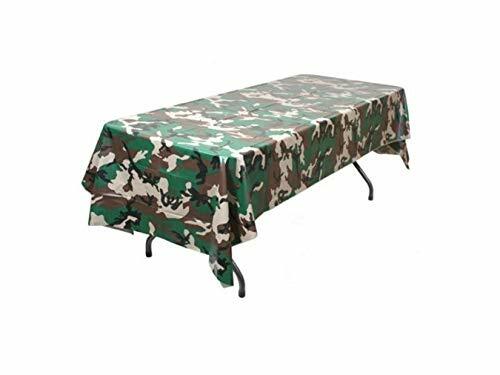 The company has built a reputation for producing unique, innovative and high quality products that deliver a fun and festive touch to any special occasion.